SEO (Search Engine Optimization) and SEM (Search Engine Marketing) both aim to accomplish the same goal—help increase the visibility of your brand’s web site and build a strong online presence. However, they’re not inherently the same thing. To fully comprehend how these two very distinctive marketing methods can impact your brand’s online visibility and ranking on Google, you need to know how they function and affect search results. To simplify things for you, we’ve provided brief explanations of SEO and SEM as well as their main components that contribute to your overall rankings. SEO is an online marketing method that’s based off of generating organic search results through optimized on and off site content. This can include blog posts, social media posts, videos, images, infographics, and other types of content that utilize keywords and phrases that people are searching through search engines. The idea is to create content that’s equal parts enticing, informative, and easy for your readers to understand. Since search engine trends are constantly changing to adhere to Google’s perpetual algorithm updates, search engine optimizers always have their work cut out for them when it comes to staying ahead of their competition. 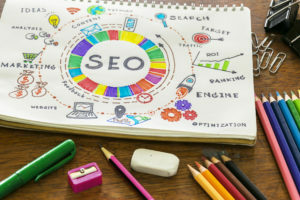 You can improve rankings by incorporating a strong mix of on and off page optimization into your SEO marketing strategy. On-page optimization includes use of popular keywords in your content, strong URLs, increasing page loading speeds, and producing high-quality content that serves the purpose of your target audience. Off-page optimizations focuses more on social media posts, providing back links (and making sure they work), and managing your local listings (i.e. Google My Business) to make sure they’re always fully up-to-date. When it comes to producing excellent content in SEO, organic search results are your bread and butter. It’s actually been proven that the main reason SEO is dominating and will continue to dominate the online marketing industry is because users prefer organic content over paid advertising. Studies have shown that Internet savvy users are more likely to ignore obvious paid advertisements on search engine results pages in favour of organic results and answers to their queries. Every time a search query is entered, Google crawls the Internet for the most relevant results and then presents them to the user using an intricate ranking system. Advertisements are clearly labelled at the very top of the first. Directly below that, the top three results according to Google are listed. While the algorithm is constantly changing, this is all in the name of transparency and making sure readers are presented with the most accurate information. Higher rankings translate to higher click-through rates. SEM is an umbrella term that can include SEO. It’s a type of online marketing that combines paid advertising tactics with organic search results and generate more leads instantaneously. The basic idea is to drive up traffic to your web site by incorporating paid advertising tactics into your online marketing strategy. Google AdWords is an excellent tool to help you accomplish this. Paid advertising is more targeted. Because advertisements appear at the very top of Google’s search results pages, they’re more likely to be seen first and clicked on either purposely or accidentally. In a lot of ways, paid advertising can be very effective because of their automatic high ranking on search engine results pages. Pay-per-click advertising essentially means that the ad space is sold by Google to brands that are willing to shell out the most money for the spot. However, that doesn’t necessarily mean that you’ll get a high return on your investment. Remember, more and more people are becoming attuned to this tactic and prefer to engage with organic search results instead. That said, you might get slightly more clicks simply because your ad is the first thing that pops up on the search engine results page. But that doesn’t mean those clicks will definitely convert into sales. Once users realize they clicked on an advertisement, they’ll most likely navigate away from your web site and this will increase your bounce rates. Higher bounce rates inevitably increase the cost of paid advertising with very little return. Purely organic results come at a much more affordable cost and fewer losses for your brand because you don’t have to pay for high rankings on search engine results page. As long as the content is well written, thoroughly edited, and properly formatted, it pretty much speaks for itself. 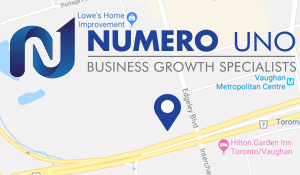 Numero Uno Web Solutions offers extensive SEO and SEM services to help clients build up their web presences, reduce web page loading speeds, improve web site navigability, and help increase online traffic. Contact us today to learn more about our services!